A value-for-money Singapore math Kindle ebook that could give your child an unfair advantage! ONLY $4.99! If you don’t have an Amazon Kindle, you can still read this ebook on the free Kindle Reading App. This ebook is ideal to be read on Android tablets and iPad. Look out for more wallet-friendly quality ebooks from MATHPLUS Publishing! Probably the best ebook on Singapore math you could find in the market! Watch out for this quality title coming your way on Amazon.com! 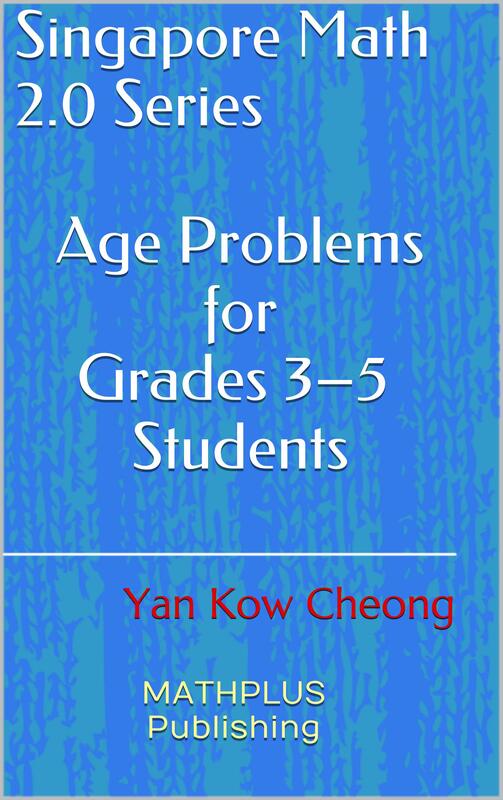 This Singapore math ebook will feature different problem-solving heuristics and strategies one could use to solve the best age-related questions, which are similar to those that have appeared in school tests and exams, and in local and regional math contests and competitions—it’s suitable for students and mathletes of mixed abilities. A math ebook every loving parent or teacher would wish to bless their child or student with!